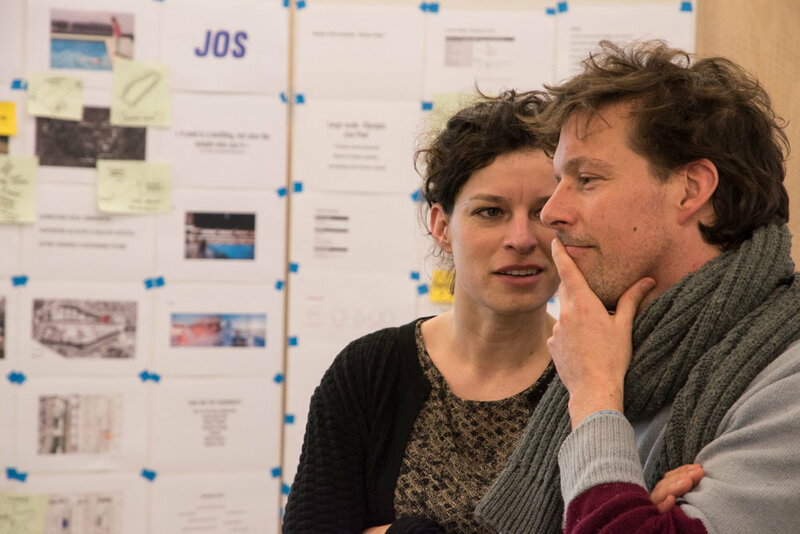 Within the framework of the BWMSTR Label, awarded by the ‘Flemish Bouwmeester’, POOL IS COOL is conducting a 4-day Masterclass "HOW TO SWIM", from Tuesday 27/03 to Friday 30/03. POOL IS COOL is a group of primarily architects and urbanists with the competence to design and build swimming infrastructures and to position these infrastructures in a complex urban context. But the know-how on designing and planning outdoor swimming infrastructures is not what is lacking in Brussels. Instead, two other important challenges come to the front. In the first place, the introduction of a public amenity of the scale of an outdoor swimming infrastructure in the city is not a small venture. Negotiations with different stakeholders, collaboration with local communities, and a good understanding of the urban dynamics, political forces and administrative rules will be key to successfully implement a public open air swimming facility. In the city of Brussels, infamous for its institutional fragmentation, spatial diversity and cultural differences, this process of bringing together a multitude of stakeholders into a co-productive sustainable micro-governance structure is a complex endeavour. In the second place, like all public infrastructure, the realisation and maintenance of swimming pools and ponds will require substantial financial resources and responsible ownership. Like many other cities, Brussels is however struggling to finance the kind of public infrastructures that POOL IS COOL envisages. 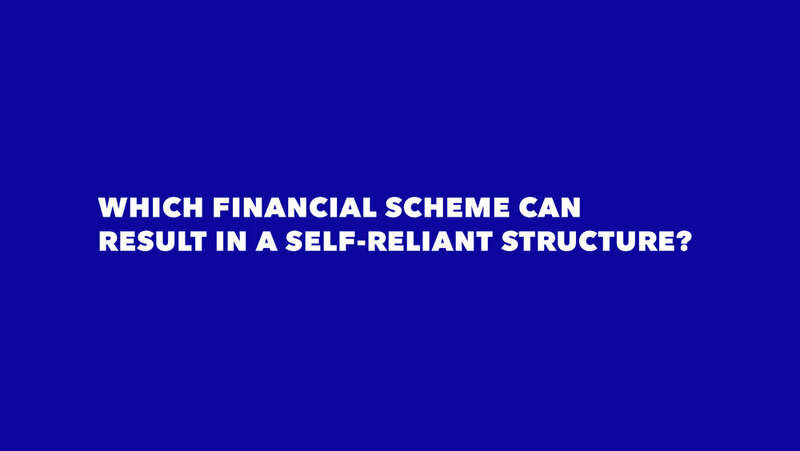 Alternative models of ownership and economic structures that go beyond the conventional tools for financing and managing public infrastructures will have to be found. Impressions regularly updated during the course of the masterclass. You can follow it here or on Flickr. Wanna see more? Click on one of the pictures to see more at Flickr. 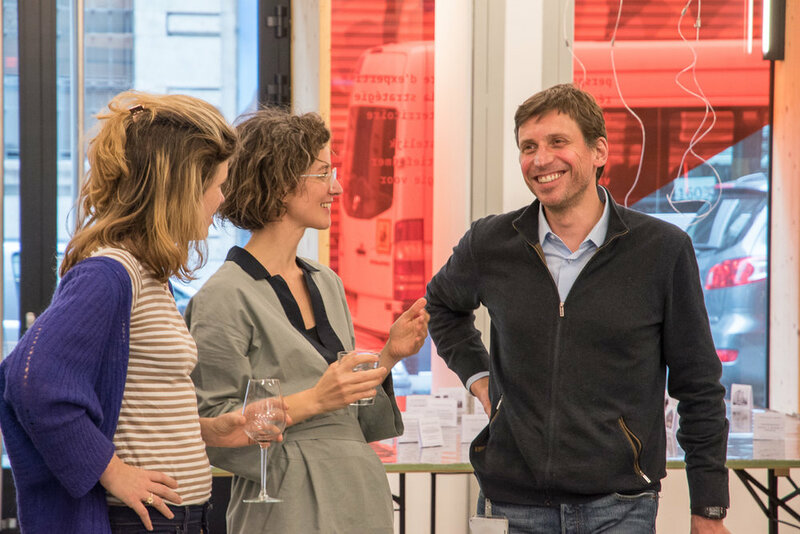 As part of the masterclass, a mini-conference will take place on Wednesday afternoon, 28th of March in the public labo-space of perspective.brussels. POOL IS COOL will receive three foreign guest speakers who will explain how outdoor swimming is innovatively developed abroad. Ana Salinas of Wilk-Salinas architects talks about the creation of the Badeschiff in Berlin. Tim Sutton of the Brockwell Swimmer Club explains how a community of swimmers in London gave a classic outdoor swimming pool a new future. Patrick Bidegain of Green Concept landscape architects tells how they are transforming the Lac Daumesnil in Paris into a swimming spot for 2,000 daily swimmers. 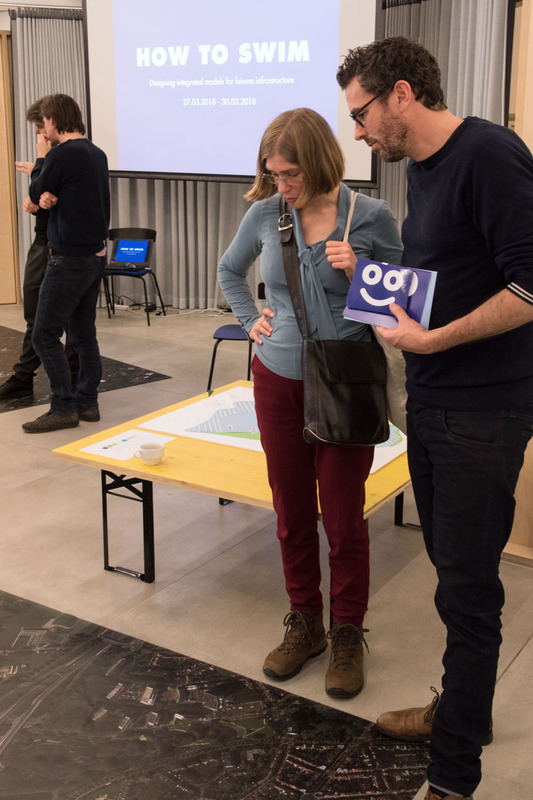 The speakers will explain how their projects came about, how they are financed and managed, what the role and questions of the users are and what possibilities there are to integrate a swimming spot in the environment in a sustainable way. In a round-table moment with representatives of some interesting Brussels initiatives, the foreign models are tested for their potential for Brussels by the end of the afternoon. perspective.brussels - Naamsestraat 59 Rue de Namur - 1000 Brussels. The conference will be held mainly in English. During the masterclass, we will be assisted by experts in their respective fields. We are happy to welcome them and their expertise on various moments during those four days. 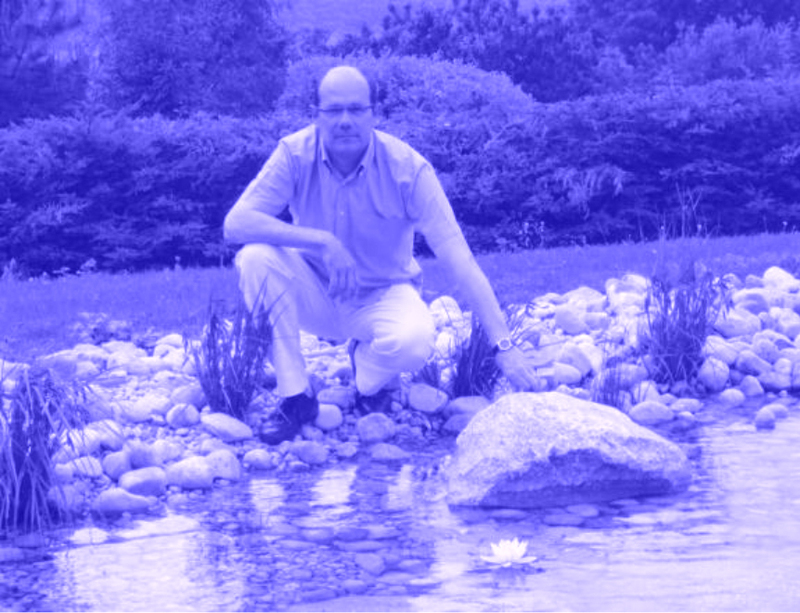 Patrick studied Landscape Architecture in Gembloux, Belgium and created his GREEN CONCEPT Landscape Agency in 1987 in Lyon. In the 2000s the agency responded to a competition for a public pool in the town of Combloux in Haute Savoie (France) on an exceptional site at the foot of Mont Blanc. Faced with this exceptional heritage, the designer's response had to be respectful and relevant in terms of the insertion of the project into the landscape. The idea of etting up an organic swim has sprung up in the minds of the GREEN CONCEPT landscape architects. This proposal immediately seduced the jury. Combloux's biotope lake was the first public biological filtration bath in France when it opened to the public in 2002. Since then, the agency has become the leader in France in the design of Biological Filtration Baths with more than 20 references on the national territory and a realization in 2016 in Dour, Belgium. Brockwell Swimmers club was formed in January 2016 by a group of local swimmers keen to see more people using their open air, unheated Lido in South London. The club's objectives are to promote participation of the whole community in the sport of swimming and to facilitate and encourage the teaching, development and practice of pool swimming and open water swimming. Swimming is a truly democratic activity. It is accessible to all sectors of the community and can be enjoyed in so many ways; as a sport, for relaxation or just for the shear fun of it all. Even in the middle of Winter we dare anyone to jump into our unheated pool and not come out with a big smile on their face. Luckily we also have a sauna to warm up in. On a more serious level, local authority budgets in the UK are falling and management of public facilities is increasingly being outsourcing. We believe that swimmers are the best ambassadors for our sport and that swimming clubs have an increasingly important role to ensure pools stay open and accessible to their local communities. Getting into water is something humans have always done, it’s in our nature, it’s who we are. Pepijn Kennis has studies Sociology and Urban Studies in Brussels, Vienna, Copenhagen and Madrid. He then became involved in Toestand, an organisation temporarily reactivating abandoned spaces with community projects. Currently, he's the organisation's general coordinator, overseeing its three projects of temporary use in longer term and various interventions as well as the sharing of its knowledge and expertise. For Pepijn, Brussels is his home town and there's yet much to improve to it. He's passionate and committed to be part of changing the city for the better, for its citizens. That ranges from actively and physically building it to (trying to) influence policy making about it. 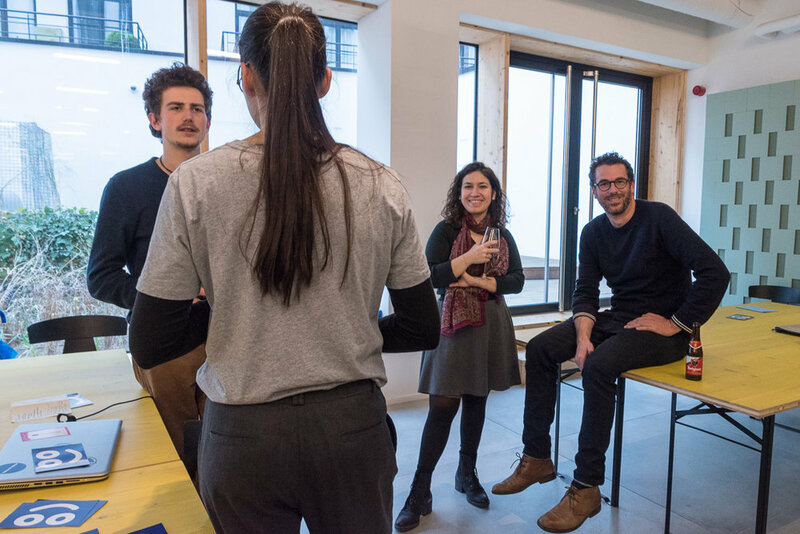 Ana Salinas Mata and Gilbert Wilk are the principals and founders of Wilk-Salinas Architekten, a young Architecture Office settled in Berlin since 2005. With their first project, Badeschiff-Winterbadeschiff, they´ve won several prizes like BDA - Preis für Architektur, Architekturpreis Berlin, IOC / IAKS AWARD (International Association for Sports and Leisure Facilities) Silver and IULA (International Urban Landscape Award) Honor Mention. They are designed members of the prestigious BDA Bund Deutscher Architekten in Germany. Their work has been presented in exhibitions like the 10 Edition of the Bienal of Architecture in Venedig, Intercity New-york Berlin, Intercity Berlin-Prag or JAE Young Architects of Spain. Ana Salinas is designed representative of the Architects Association of Madrid. Chris is a born and bred Londoner. He studied architecture at the University of Plymouth and the Bartlett School of Architecture, London. Before establishing architecture and interiors office Studio Octopi in 2003. The award winning practice has gone on to build numerous cultural and educational projects in the UK. In 2013 Chris was swimming in Lake Zurich when the idea for re-introducing swimming in the Thames was conceived and Thames Baths established. Now Studio Octopi is at the forefront of ideas for increased recreational use of the River Thames. In 2015 Chris ran the Thames Baths Kickstarter campaign raising £142,000 in 30 days. In 2016 he also led the Peckham Lido Spacehive campaign and raised £66,000 towards rebuilding the outdoor pool in south London. Both projects have provided Chris with a considerable platform to talk about urban swimming. Since 2013 Chris has spoken at TEDx KPMG, Centre for London 2015 Conference, Somerset House, V&A for London Design Festival and many more. Bie Vancraeynest has worked during 8 years as coordinator of the Brussels’ Youth House Chicago. During this time, she was the face and the very engaged spokeswoman of the Youth House, located in the Vaartstraat in the centre of Brussels. Now, she is exploring other corners of her beloved Brussels for Enter, a partipatory arts festival. 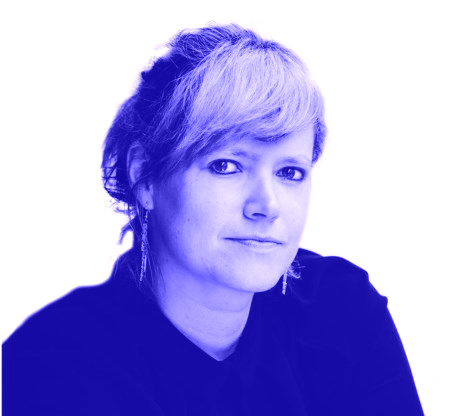 Outside working hours, she is a passionate citizen, an eager bon vivant and a fierce columnist for MO*, De Standaard and all those who ask nicely. With one leg in the arts and another in the social maquis, she likes to think and act along with people who entertain and reconstruct the city, in all possible meanings. Dr. Wouter Bervoets is a consultant and researcher in the field of Area Development and Real Estate at Idea Consult. 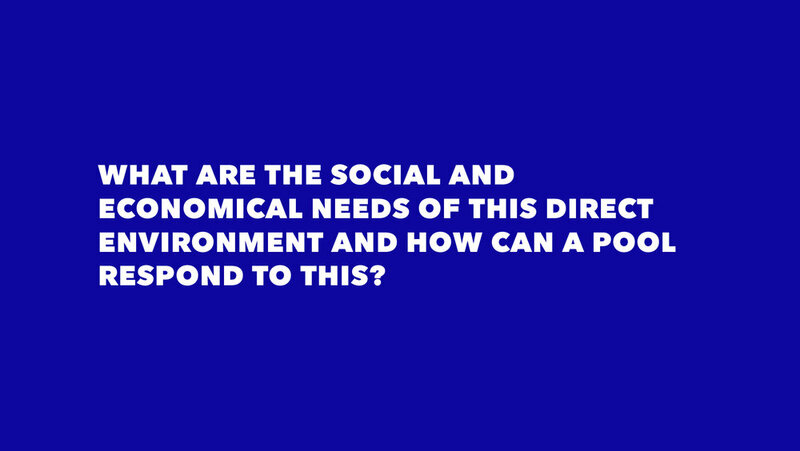 His broad expertise refers, besides housing and housing policy, also to urbanistic, social, political and financial aspects of complex spatial issues. 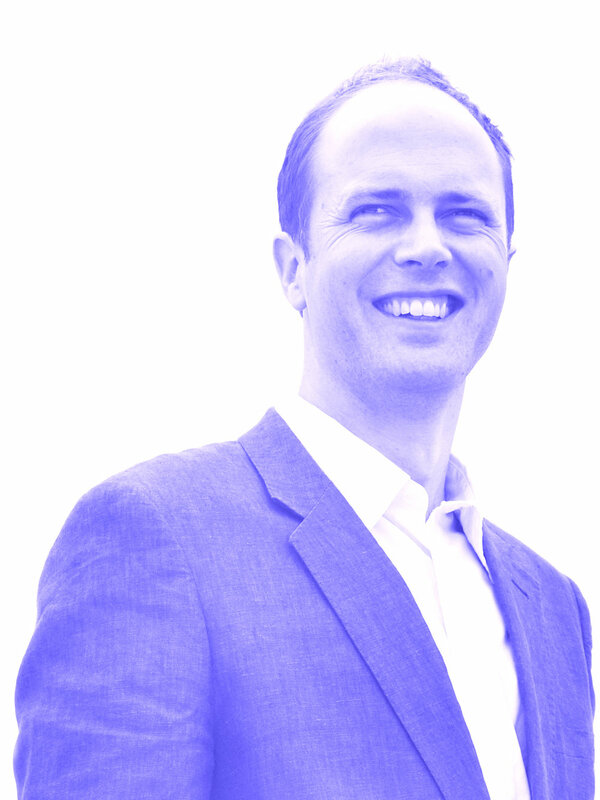 Wouter earned a Master's in Architecture, a Master's in Urban Development and Spatial Planning, and a Postgraduate degree in Property Studies. In 2014 he earned a PhD in Architecture at KU Leuven (university of Leuven) entitled ‘Overhoused people/underused houses? Towards a sustainable reassembling of the post war housing stock in suburban Flanders, Belgium'. From 2005 to 2009 he was the project architect in several large-scale building projects. Since 2009 he was involved in several scientific studies as a researcher. At the Erasmus university college in Brussels he was in charge of a comparative study of the allocation rules for the social housing sector and the risk of discrimination. At KU Leuven he was involved, among other things, in an evaluating study into the effectiveness of the implementation of the Regional Zoning Plan for Flanders, and a study on the future of rural housing stock in Flanders. At the university of Melbourne he conducted research on the future of suburban residential areas with special attention to conflicting standards and values of the supporters and opponents of spatial transformation projects. Wouter is a guest lecturer connected to the Department of Architecture at KU Leuven. Dieter Leyssen is architect and studied at the University of Leuven and the Universidade Técnica de Lisboa. Currently, he takes part in the LSE Cities program at the London School of Economics and Political Science. Since his graduation, he has developed a specific interest in design approaches that enable, strengthen and interrogate processes of urbanization. 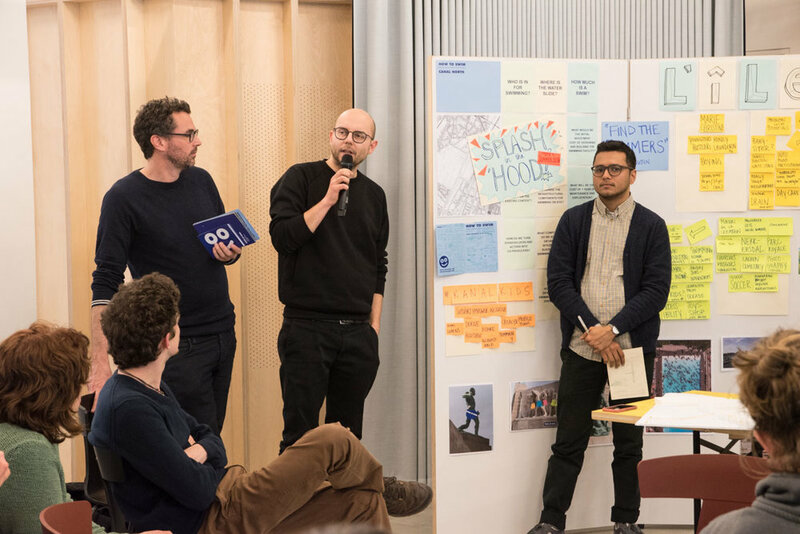 In 2012, Leyssen conducted a research by design together with Eva De Fré called Keeping the Fence, in which they addressed how planners, architects and policy makers could critically approach the process of gentrification in distressed urban areas. By pronouncing micro-economies and community networks between local residents and engaged “gentrifiers” as a main asset, the work focused on stimulating the positive potential of gentrification while preventing the negative consequences of the process, such as the dislocation of the poorest populations. Since 2013, Leyssen works at the Brussels based architecture firm 51N4E, where he is involved in various architectural and urban design projects. He is one of the initiators of Lab North, an initiative imagining the future of the Brussels North District. Bart Defloor lives in Brussels and works as a teacher and researcher at Ghent University. His main research interests are public good provision, sustainable development, public economics and well-being measurement. Bart teaches several introductory courses in economics, sustainable development and public economics to students of business administration and public administration. 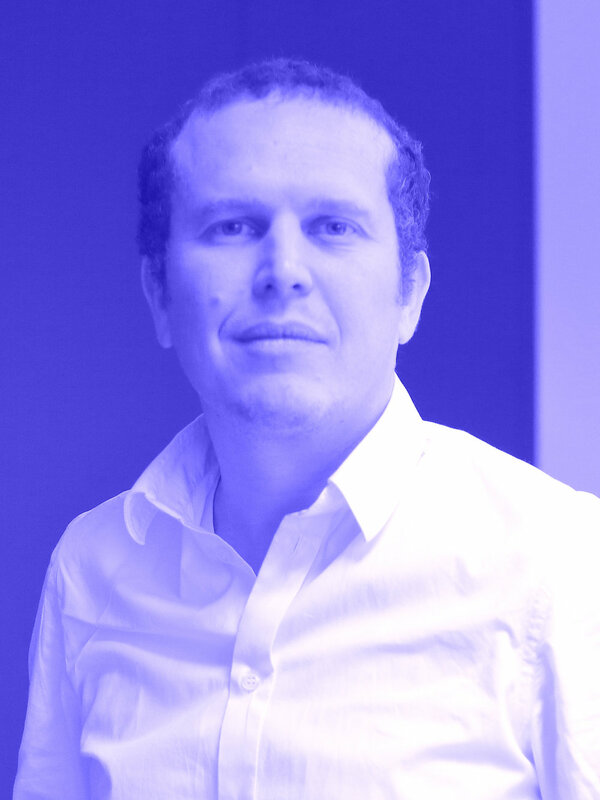 Lucien Kahane is an architect and urban planner working at IDEA as consultant in real estate and urban development. As a project architect he has contributed to a large number of building projects and he has also acquired experience in urban development design with a number of master plans. 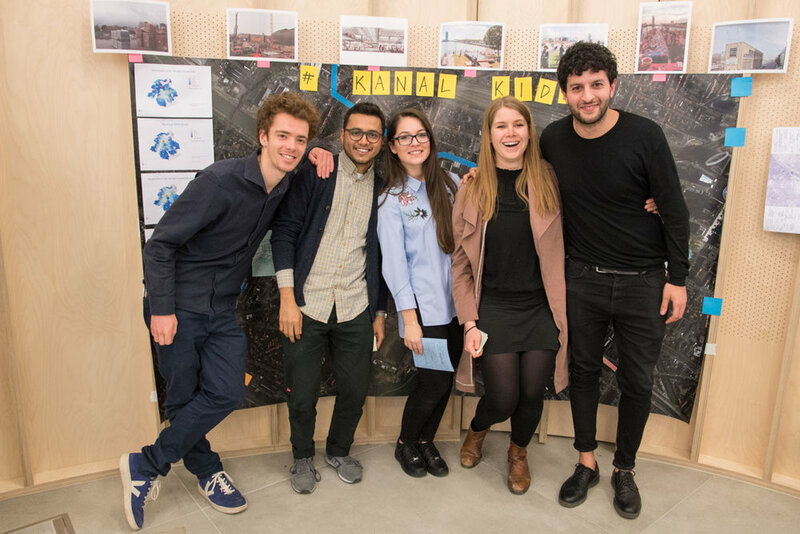 His final thesis in urban development dealt with the complex subject of regeneration in run-down urban areas. In 2008, Lucien took an additional real estate education at the Solvay Business School in Brussels. Since August 2005, Lucien is working at IDEA as consultant in real estate and urban development. His experience lies in urban, real estate development and spatial-economic research, on a strategic level or on a scale of a specific project area. His role within the real estate team is that of expert for the residential market, thanks to numerous market studies for residential projects or studies on housing policy. In the framework of projects of area development and master planning, he takes on the role of programmer. As part of this research program into alternative hybrid financial and management models, a 4-day research event will take place in Brussels from 27th to 30th of March 2018. During this 4-day research event international experts present examples of good practice with regard to alternative managing of public outdoor swimming facilities, together with organizations or individuals that in the past years have launched new creative socio-economic initiatives in Brussels. 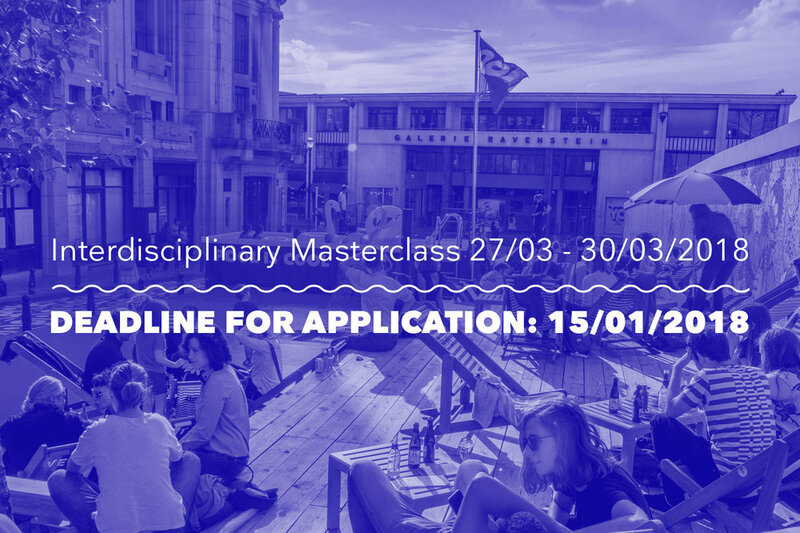 Parallel to welcoming these experts, POOL IS COOL invites 15 talented master students or young professionals in various fields to participate in an interdisciplinary master class. 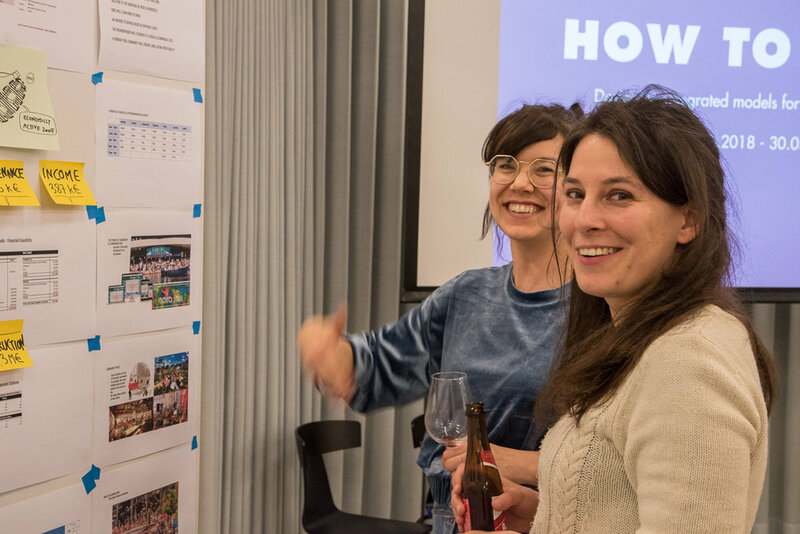 The participants are challenged to rethink and sketch different organization structures and development strategies that can bring about the innovative models for the public open air swimming facilities that POOL IS COOL is striving for. The 15 participants of the masterclass will be working on three case-studies in Brussels, guided by experienced professionals from different fields. Together we would like to develop innovative approaches for integrated design and management models of open air pools in Brussels. These models can potentially be applied on all kinds of leisure infrastructure in the contemporary urban context. The aim of the 4-day-workshop is to develop hybrid process structures that considers (1) spatial and infrastructural requirements, (2) social and governance needs and (3) financial and management demands for public open air swimming facilities. In order to approach this layered challenge, POOL IS COOL considers it necessary to work in an interdisciplinary way. The implementation of an open-air swimming facility is not a stand-alone design task. For the concept and later project to be sustainable and economically viable, multiple topics need to be assessed simultaneously and from the start on. 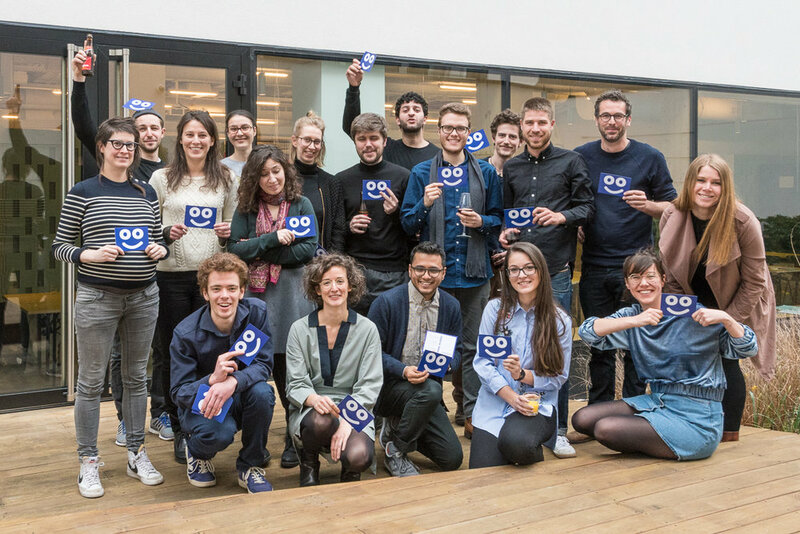 POOL IS COOL is looking for mixed teams, with a variety of knowledge and skills - in alternative economic models, in social participation and revealing social capital of a community, in unconventional management schemes - combined with a view on spatial integration to tackle this amalgam in all its complexity. or in any other field relevant to the defined hybrid research objective. a short statement of your motivation describing why you take an interest in the masterclass and what it might mean to your educational and professional development to participate (max 200 words). A maximum of 15 participants will be selected based on their profile and motivation for participation. The selection will be communicated on 20 Jan 2018 together with the detailed program of the masterclass. Selected candidates will be expected to take part in the entire masterclass from Tuesday, March 27, until Friday, March 30 2018. For all selected candidates POOL IS COOL will provide catering and accommodation (please specify in your application whether you need sleeping accommodation in Brussels or not). Travel costs to Brussels however will not be reimbursed. For any questions or help, please get in contact with Jorg De Vriese or Lien Nauwelaerts at info@pooliscool.org. 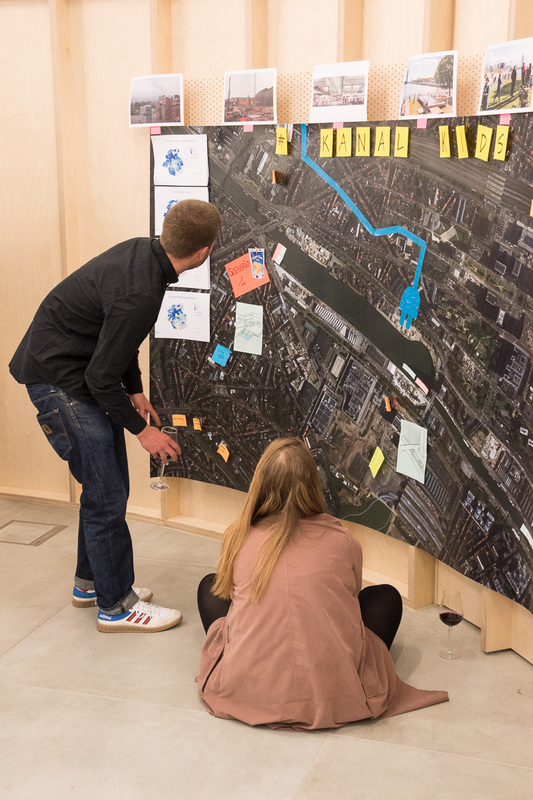 This masterclass is organized in the framework of the BWMSTR Label, a grant program through which the Flemish Government Architect and the Flanders Institute for Architecture support integrated spatial research with societal relevance and the potential to influence policymaking.